Digital coaching to help them on their journey to better health. 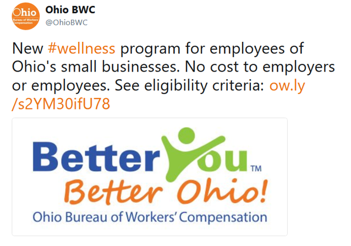 The BWC believes employers can use this wellness program to help manage and reduce their workers’ compensation and health-care costs by having a healthier workforce. For more information on Better You, Better Ohio!, see here.